Hi there, We have a room available with a walk in robe...yes you heard that right a walk in robe! And it is a massive room with plenty of storage. The main room can easily fit a king bed with side tables and a study or tv nook. The photos on here don't do it justice. The room has a lot of natural light and air flow and is a quite room with its own access at the back of the property. It looks out onto the garden. It has a ceiling fan and plenty of power points. Our home is situated in a quite street in Elermore Vale. It is a wide road and offers plenty of on street parking. The neighbors are lovely. We have a cleaning roster in place which keeps the main areas in tip top shape. The room is $185 per week. This includes cleaning products, bills and internet. The gardens and lawns are maintained by the owners. If you are clean, work full time, respectful and enjoy meeting new people and creating new experiences then get in touch. We would love to meet you. LIVE IN A RESORT STYLE HOME, CLOSE TO FACILITIES &amp; HAVE NO BILLS TO PAY. OVERALL DESCRIPTION Large spacious modern home which offers everyone exceptional privacy as each bedroom has its own area of the home. i.e. no bedroom is wall to wall next to each other. The property boasts a Saltwater Pool, &amp; Spa with Rock Cave and Waterfall Feature. A Barbecue Area, A Large Deck 6m x 8m fully covered deck area plus paved areas where you can relax and enjoy the sun. The bush reserve at the rear of the property creates a very relaxing ambience where you can even watch the native bird life from the deck. It is like a little oasis in suburbia. There are 2 rooms available . One is with main bedroom with ensuite and walk in robe. This room is $250 per week for a single person. The other area is 2 full size rooms and is $250 per week for a single person. One room can be used as a bedroom and the other room as a private lounge area. The rooms are joining each other and very private The house is very quite and suited for someone who does shiftwork or day shift. A fee of $30 per week for services electricity, water, gas and access to internet. If you are a couple add $70 per week for extra person. We have a great group of housemates and I am more interested in getting the right person for our home. PAYMENT 4 Week Bond Required. 2 weeks rent advance and weekly rent payable on a Monday or Thursday of each week. SERVICES PROVIDED Total Fee includes Electricity, Water, Gas and access to NBN Wifi. Please Note ; Reasonable and responsible usage of all services is expected. Cooking and Eating Facilities, Furnishings and Bed Linen if required. 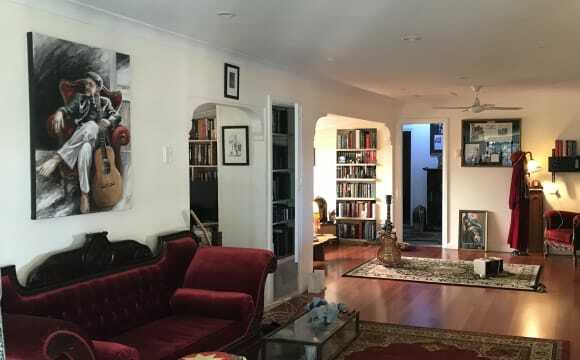 PLEASE NOTE: This is NOT A PARTY HOME it is a nice relaxing friendly quite home that provides some great areas where everyone can enjoy themselves and not be on top of one another and have their own privacy. Most of the Housemates are from mid 20’s to late 30's. Most either study or work fulltime. The home is ideal for a professional with a mature attitude. 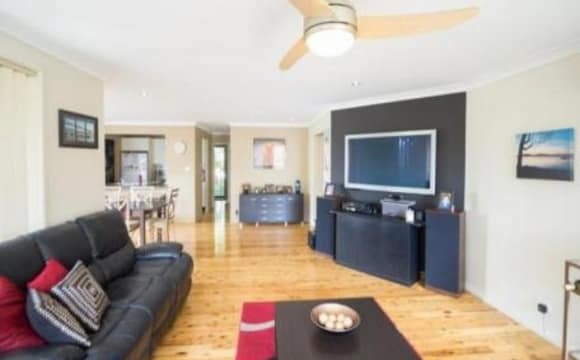 The property is extremely large which allows every housemate to have their own privacy. We are looking for mature responsible clean housemates that respect other people , their property and their space. The property is a NON SMOKING PROPERTY. Housemates are expected to keep their own areas clean and tidy and to contribute to general cleaning of the common areas and yards. Cleaning up immediately after using the cooking and eating facilities is a MUST for all housemates. 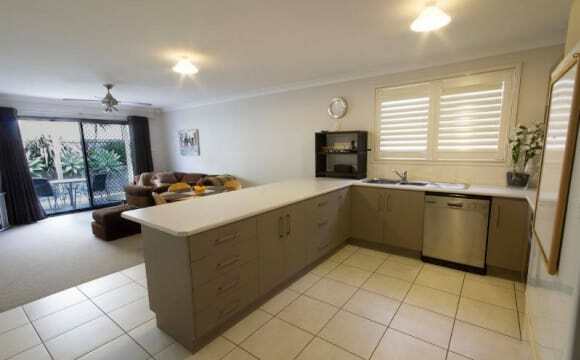 The home offers quality furnishings with an amazing blue pearl and Jarrah wood kitchen and bar area. The Kitchen provides all utensils and is large enough for several people to cook at the same time. FOOD COOKING AREAS This includes the Kitchen and the Deck Area with Barbecue and Sink Facility. Refridgerator Provided. Multiple Cupboards – Own Area Provided to each Occupant. 2 Micowave Ovens Provided. Multiple Cook Tops 2 Toasters, Rice Cooker, Deep Fryer, Electrical Sandwich Maker area, Blenders, Slow Cooker, LOUNGE AREAS – Informal Lounge Area with quality Leather Lounges. Informal has Theatre Projector for great movie watching on the large screen. DINING AREAS	-Informal Dining Area – seats up to 8 people at a time. -Kitchen Eating Area – seats up to 5 people at a time - Covered Deck Area – seats up to 16 people at a time.6m x 8m. SPECIAL FEATURES OF PROPERTY. •	12m Salt Water Pool with Rock Cave &amp; Water Fall and Spa Area. •	Large Fully Covered Deck and Barbecue Area with extra Sink. •	Paved Garden Areas for relaxing with view of the reserve at rear of property. •	If you require provision of Linen and all furnishings for your area if you want to walk in with only your suitcase this can be provided. •	If you have your own furnishings that you wish to use this also can be provided. *************************** PUBLIC TRANSPORT •	Public Bus Stop is Immediately outside only 2 doors Away. •	Train Station is only 5 min drive away at Cardiff Train Station. Cost in Taxi is $8 to train station. Regular Trains to Newcastle Ciy and to Central Sydney. HOSPITAL •	5-10 min drive to John Hunter Hospital. Direct Bus Public Transport Available STUDY FACILITIES *	Newcastle University. 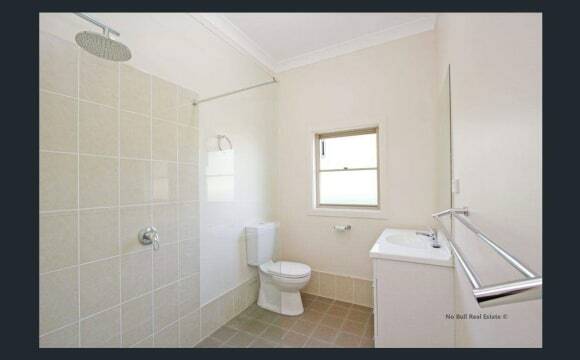 5 – 10 min dirve to Direct Bus Public Transport Available *	Glendale Tafe Facility. 5 – 10 min dirve to Direct Bus Public Transport Available *	Tighes Hill Tafe Facility 20 mins drive Public Bus Transport Available. NEARBY DESTINATIONS TRAVEL •	Freeway to Sydney and to the Hunter Valley Wine Areas is 5 min Drive away. •	Travel Time to Hunter Valley Wine Area – Approx 30 mins drive •	Travel Time to Sydney Approx 2 hrs drive. •	Travel Time to Lake Macquarie – Approx 15 mins. •	Travel Time to Beaches – Approx 15 mins •	Travel Time to Inner City – Approx 15 mins •	Travel Time to Port Stephens Area – Approx 45 – 60mins •	Travel Time to Newcastle Airport – Approx 30 mins. SHOPPING FACILITIES •	5 -15 min Drive access to 7 Major Shopping Centres. Walking Distances to 2 Major Shopping Centres. o	Kotara Westfield 10 – 15mins. Bus Public Transport via Glendale or JHH o	Charlestown Square 10 – 15mins. Bus Public Transport via Glendale or JHH. o	Jesmond Shopping Centre 10 mins Direct Bus Public Transport o	Glendale Supacentre 5 mins Drive, 20 min walk. Direct Bus Public Transport o	Wallsend Shopping Centre. 5 min Drive. 15 - 20 min walk. Direct Bus Public Transport o	Cardiff Shopping Centre – 5 – 10mins. o	Elermore Vale Shopping Centre 5 min Drive. 10 – 15min walk. Direct Bus Public Transport Centre. CLOSE BY RECREATIONAL FACILITIES. 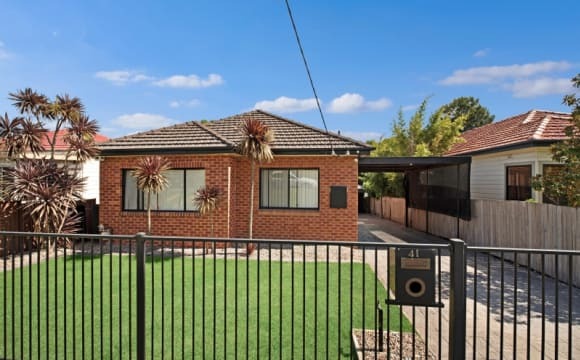 Beaches - 15 mins Drive Lake – 10 mins Drive Vineyards – 30 mins Drive Blackbutt Reserve – 10mins Drive Walking Areas, Bike Riding Areas and Parks – immediate walking distances. Cinemas – 5 mins drive Gyms – Several available 5 – 10 mins Drive Swimming Pools – (Private swimming pool available in back yard.) Public Pools Available: Heated Pool – Elermore Vale – 5 mins Drive walking distance. Lambton Pool – 10 min Drive Wallsend Pool – 10 min Drive Speers Point Pool – 15 min Drive Ocean Baths Merewether &amp; Newcastle – 20 min Drive. 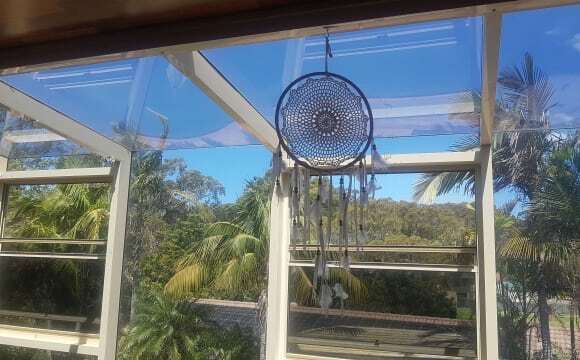 IF INTERESTED IN THE PROPERTY PLEASE ENSURE THAT YOU SEND A TEXT WITH YOUR NAME AND ABOUT YOURSELF BEFORE CALLING TO ARRANGE AN INSPECTION WHICH IS HIGHLY RECOMMENDED TO BE ABLE TO APPRECIATE THE PROPERTY. .
- Air conditioning. - Shed/garage. - Parking in the driveway. - Less than 1km to nearest shops and gyms and 1.1km to the nearest shopping centre (3min). 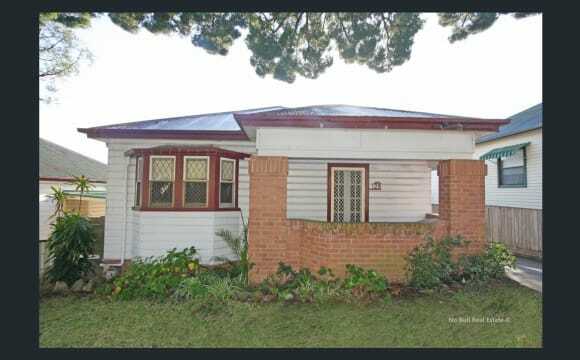 - 3.2km to the University of Newcastle (5min). - 10 minutes away from the freeway. - Close to bus stops and 4.9km from the closest train station. About the property - Air conditioning. - Shed/garage. - Parking in the driveway. - Less than 1km to nearest shops and gyms and 1.1km to the nearest shopping centre (3min). 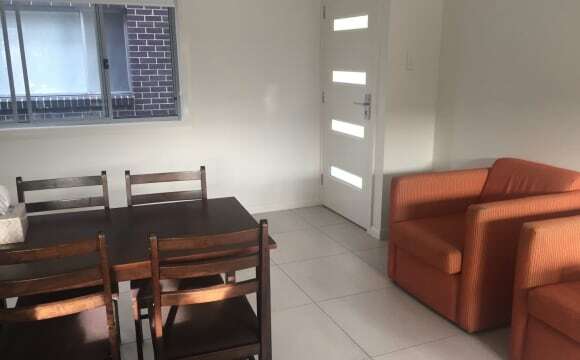 - 3.2km to the University of Newcastle (5min). - 10 minutes away from the freeway. - Close to bus stops and 4.9km from the closest train station. Our beautiful home in new lambton heights has 4 bedrooms and 3 bathrooms, plenty of room so it doesn't feel crowded. I have two room available you are only sharing the bathroom with 1 other person! It is a quite home with busy work professionals currently living here. We are located only 5min away from the John hunter hospital. We are looking for clean, realiable people to move in, for my information feel free to message or call me and we can discuss more details about the home. The house is furnished but more furniture can be considered if you have any. Thank you. If you like a retreat bush land setting this is for you. It backs onto a nature reserve and also has a pool. The house is located in a small complex sharing a driveway and pool with 7 other houses. 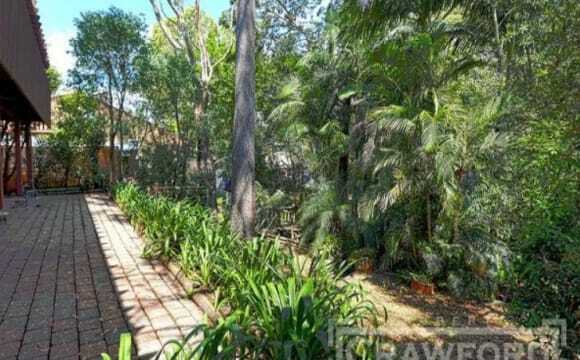 We are at the end of the driveway backing onto bush land meaning it is quiet with nice views. Lawn and pool are maintained by strata. Air conditioning is in the lounge room but mostly cools the whole house. House is furnished with washing machine and dryer. Bedroom has built in wardrobe. All Brand New Complex, New Rooms &amp; FURNITURE &amp; ALL Utilities Included &amp; Internet as well. , and looking a million bucks. all Lewis if you want to know more or arrange an inspection. Lewis. It's Brand New Flat and all the furniture inside, plus its a very quiet place day or night. Internet * &amp; all Utilities are included.